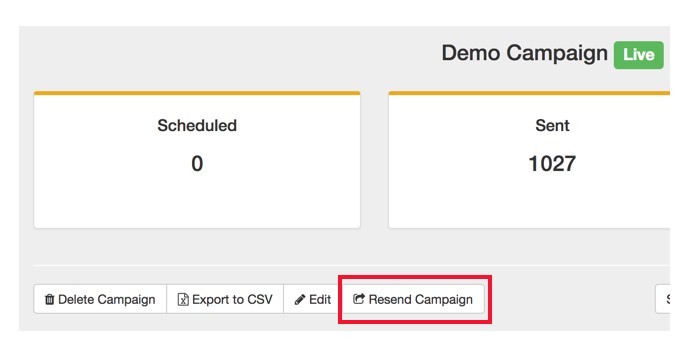 Reschedule your campaigns to send again to respondents who haven't yet completed. After you've sent out your campaign you may want to resend it to those you have yet to respond to it. 1. Navigate to the "Collect" page and select your active campaign. 2. 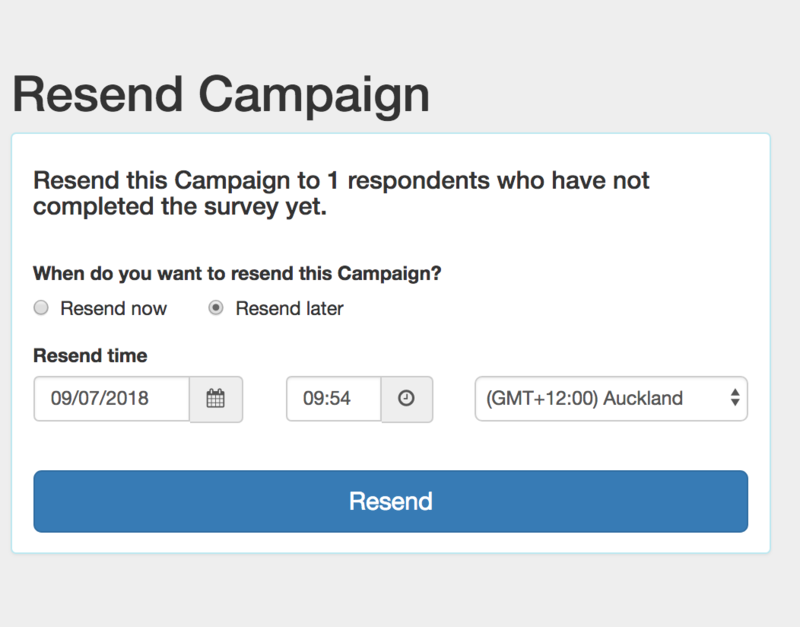 Click on the "Resend campaign" button. 3. Select if you would like to resend the campaign now or select a time to resend at. 4. Select Resend to proceed. Now the campaign will resend to all people who either haven't completed the survey or are yet to start it.